Few things are exciting as getting a new car. Be it used or new, you pick one out that works for you and you’re on your way. But one of the most necessary steps in getting a new car is buying the insurance. There are many insurance companies with a wide variety of coverage options based on your financial situation. It can be tempting to go for the most affordable option, but in many cases, the coverage offered at a low cost comes with high-cost problems should an accident occur. Worst of all, these problems are often difficult to spot because they’re hidden with legal wordage or buried deep within a contract. Below is what to look for in an auto insurance policy. Many insurance companies have cropped up in recent years offering little to no coverage. While these policies seem like a great value for some, they can be financially ruining. 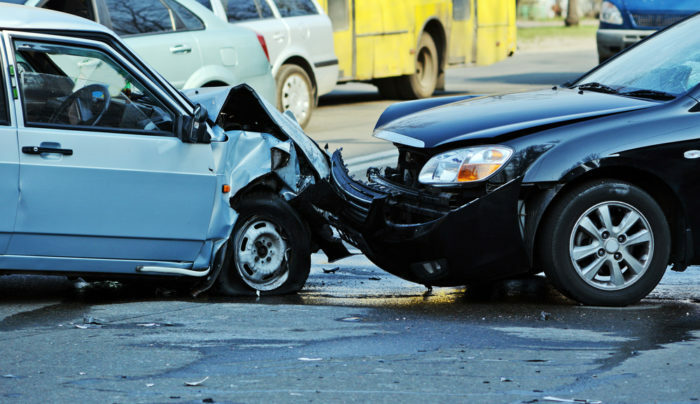 Almost all car accidents result in bodily injury or some kind of property damage. It’s important then to keep an eye on your insurance coverage for these things. The most popular auto insurance type recommended is the typical 15/13 policy, or the $15,000/$30,000 policy. This coverage means that your insurance company will pay up to $15,000 for bodily injury of an individual hurt in an accident, and up to $30,000 for all persons injured in an accident. Bear in mind that the 15/30 policy is often considered pretty unsubstantial, as most accidents can very easily exceed $15,000 -$30,0000. Just because you go through the effort of buying insurance, it does not mean that the person you get into an accident with will have insurance. This is where Uninsured Motorist (UM) coverage comes into play. In the case of a hit and run or in the case of an accident in which the other driver does not have sufficient, UM coverage compensates you and your family members up to your liability coverage. Basic coverage options rarely touch on comprehensive coverage. Comprehensive coverage covers incidents that result in property damage such as break-ins, theft, acts of vandalism towards your vehicle and more. One of the most common unpleasant surprises that crops up at the time of a claim is learning that someone is not insured. Many assume that because they are insured, that family members are automatically covered. This is rarely ever the case. When choosing coverage, take care to make sure who is covered by the policy as well as which vehicles are covered. Buying insurance can be complicated, but it doesn’t have to be. Following these tips can ensure your safety and your fair compensation. However, it is important to know that if you or a loved one has been injured in an accident without insurance, you still have rights. If you or a loved one has been injured in a car accident in New Jersey, Richard A. Stoloff is an experienced personal injury attorney who can help fight for your compensation. Contact us today.